I am Colin Anderson, a retired civil engineer who lives close to the stunning Butterley Spillway set within the Wessenden Valley and on the fringe of the village of Marsden on the Pennine Moors of Yorkshire. I have lived in the Colne Valley for over 35 years, and the Butterley spillway is a feature in the landscape that I have enjoyed on my walks in Marsden over all of those years. 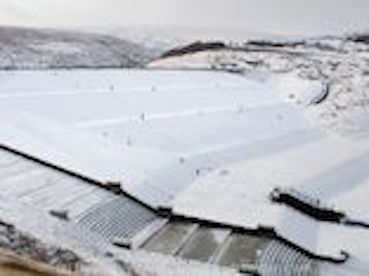 It is important to protect and conserve the heritage and beautiful landscape of Marsden and the Colne Valley for the enjoyment of local people and for the success of our tourism industry.I gave evidence at the Planning Inquiry which considered Yorkshire Water’s appeals against refusal of planning and listed building consent for works to demolish and alter this uniquely listed spillway. I was treated most unfairly at the inquiry by the Planning Inspector who did not follow the inquiry rules. UPDATE 12 October 2015: My case was heard in the High Court on 7th October but the judge is still considering the case. My solicitor and barrister continue to act on my behalf and so reaching the £12,000 target is more important than ever! In 2012, Yorkshire Water announced plans to demolish a grade II listed Victorian water structure, Butterley Spillway, by replacing the magnificent, stone, cascaded steps with a concrete ramp. There is no other spillway like this in the country. Local villagers formed a group to protest the plans - Save Butterley Spillway. In 2014, the group's campaign led to the unanimous refusal by Kirklees Council of the planning applications. Yorkshire Water appealed that decision and a public inquiry took place, the outcome of which saw the Secretary of State grant Yorkshire Water's appeal. My name is Colin Anderson. I'm a retired civil engineer. I spoke at the public inquiry urging that the planning refusal be upheld. The inquiry refused to permit my evidence and in so doing acted unjustly. As the Planning Inspector broke inquiry rules I have filed a statutory appeal seeking to quash the Secretary of State's decision. There is a High Court hearing on 7 October at which my challenge of the Government's decision will be heard. I've obtained a court order to limit my costs from the other side but need to raise £12,000 to pay barristers and solicitors to represent me in the High Court. The defendants, and particularly Yorkshire Water, have access to significant funds to cover their legal costs, and indeed MPs have criticised Yorkshire Water for not paying any corporation tax. I am on Pension Credit. The evidence I tried to present related to the other options available to bring the reservoir to modern standards but which would cause the spillway less harm. Butterley Spillway is the largest, most impressive, architecturally-detailed, Victorian overflow in the country. It is crafted exclusively in natural stone masonry and designed by the country’s foremost reservoir engineer of his time, Thomas Hawksley. It is the only spillway to be listed in its own right and is in a near original condition. It’s a grand, sweeping staircase leading to the stunning Yorkshire moorland hills and has been loved by tourists for over 100 years. The community, the Victorian Society and the Council for British Archaeology all objected to Yorkshire Water's proposals for the Spillway. I am not a part of the Save Butterley Spillway group but I attended the inquiry as a passionate local resident with the skills and experience necessary to challenge those of Yorkshire Water’s engineers. At the inquiry, I saw a village community attempt to save its heritage (Save Butterley Spillway obtained Rule 6 status so as to be a fully engaged party) but it was outmanoeuvred by corporate lawyers. Having taken advice that the inquiry's process was legally unsound, funds are now needed to meet lawyers with lawyers, in order to quash the Secretary of State's unjust decision. I cannot stand by and let the spillway meet its fate on the basis of an unjust decision and after all the selfless efforts of the community in a ‘David and Goliath’ battle. The Secretary of State consented to the spillway's extensive demolition and majority-concrete reconstruction on the grounds that its capacity does not meet current standards. But that decision was made without allowing the other options to be considered. This omission, in my and the lawyers’ view, renders the decision unjust. Yorkshire Water presented their plans to the community in February 2012. The plans involved the total demolition of the stepped, stone spillway and its replacement with a concrete ramp. There was no evidence that heritage work had been undertaken by Yorkshire Water and virtually no consideration given to its ‘listed’ status. Local people gathered together under the ‘Save Butterley Spillway’ banner to challenge the plans. A series of meetings took place with Yorkshire Water but the community was not listened to. In September 2012 the Victorian Society announced the spillway as one of the 10 most endangered Victorian buildings in the country. The Council for British Archaeology and the Association of Industrial Archaeology also objected to the proposals. After making limited improvements to the design, Yorkshire Water submitted its planning and listed building consent applications in July 2013. They were unanimously refused by Kirklees Council in January 2014. Yorkshire Water appealed the decisions and a public inquiry took place in January 2015. In March 2015 the Secretary of State allowed Yorkshire Water's appeal and granted permission for the works. In May 2015 the Statutory Appeal was filed seeking to quash the Secretary of State's decision to grant permission for the works. I have been successful in obtaining a court order to limit my costs from the other side. I need £12,000 to cover my solicitor’s and barrister’s fees to represent me in the High Court. If the challenge is successful, the remaining money will be used to pay for legal representation and expert evidence at the subsequent planning inquiry when the Secretary of State will reconsider the proposals and properly assess the alternative options, so every pound raised will be invaluable in seeking to protect the nation’s heritage. The hearing of my claim will take place on 7 October 2015 in the Planning Court, Leeds Combined Court, 1 Oxford Row, Leeds, West Yorkshire LS1 3BG. The likely start time will be 10.30 a.m. and the court number will be available the day before. The public are allowed to attend and all are welcome. "Like a growing number of other people I’m very concerned about proposed changes to the Butterley Spillway in Marsden, where I was born and grew up. The spillway isn’t just a functional device but a feat of engineering brilliance, a thing of great beauty and a monument to those people who worked on its construction. At the time it was built there was little in the way of mechanisation, and the spillway represents the efforts of hundreds of workers and hundreds of thousands of hours’ labour, not to mention a craft and technique unique to the period...to contemplate its replacement with something concrete and ugly would be a tragedy." ...But another [aspect of its geographical and historical significance] is Marsden’s contribution to the water industry, as evidenced by its unique number of reservoirs, bridges, catch-waters, rivers, streams, tunnels and its canal. 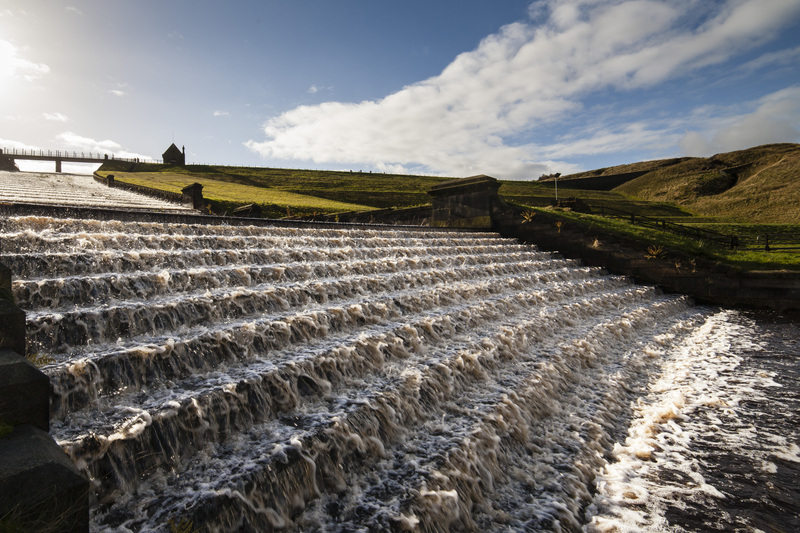 In that sense, water is Marsden’s great theme, and the Butterley Spillway is its great landmark. To begin dismantling the village’s past would be to jeopardise its future as a tourist destination, a site of cultural importance and a place to live."